Here's another reason to go out on a fine spring day: The Birmingham Farmers Market kicks off today, Sunday, June 7, at parking Lot No. 6 on North Old Woodward. The annual event will feature more than 30 booths filled with locally grown produce, plants, fresh prepared foods and hand-crafted items. Musical performances will add to the atmosphere, and this year there will be a Kid Zone at the market where the little ones can try their hands at arts and crafts. The market, staged by the Birmingham Principal Shopping District, is a grand event that offers a perfect activity for a nice day. And it's good for the community. Along with providing a venue for Michigan made and grown products, it brings people into the city as well as offering fine products to city residents. These days, every town, including Birmingham, can use the business. Bringing more life to downtown is a great side benefit of the market. 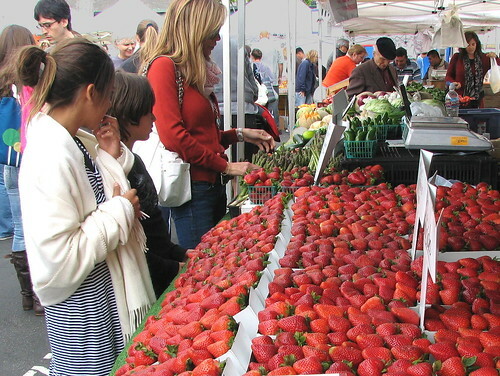 Farmers Markets will be held from 9 a.m. to 2 p.m. every Sunday through Oct. 25 at Lot No. 6, which is north of Maple, across from Booth Park. Grab the kids or just go yourself and have a good time. There will be plenty to see and do — and buy. It will not only be an opportunity for an enjoyable outing for the family, but also helps boost the city.